While most E-Commerce website hosting companies claim that they fully integrate with QuickBooks, many of these same companies provide very limited help regarding the proper setup and mapping of your sales information to make sure that it is recorded accurately in QuickBooks. In fact, just recently I worked with a client who imported his QuickBooks export from his company’s E-Commerce website, and all of his item descriptions on his invoices were shown in HTML code, not text. When the E-Commerce company was asked why it worked this way, they just said “Well, that’s just the way that it is”, and offered no help to change it so that it exported correctly. Fortunately, I was able to work with my client to find an acceptable 3rd Party solution that would eliminate this particular problem. Although this may be an extreme example, I have found that even though most website hosting companies have taken great care to make sure that their QuickBooks exports capture all of your sales and financial information, most small business owners need the assistance of an expert who can make certain that this information imports correctly into QuickBooks. 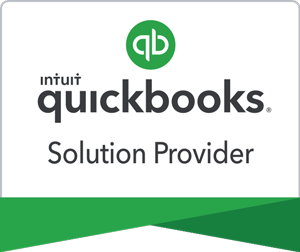 I have been working with small business owners and their website/QuickBooks integrations for over 7 years now, and if you have a website and use QuickBooks, chances are I can help to get that information imported accurately into QuickBooks!